Free games: Win a Steam key for authentic WW1 shooter Tannenberg! Blackmill Games is going over the top once again today with the release of Tannenberg on Steam. This is the next game in the developer’s WW1 series of FPS action games that focus both on authenticity to the era and prioritising squad play across the multiplayer battlefields. Even better: we’re giving away ten Steam keys so you can jump straight into the trenches to see what all the fuss is about. 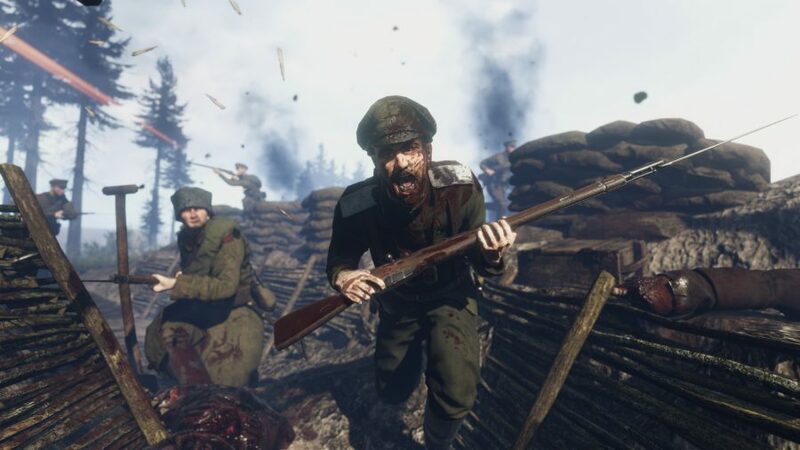 Whereas Verdun took us to the frontlines of the Western Front between 1914 and 1918, Tannenberg is all about the Eastern Front, where the Russian Empire is facing off against the Central Powers. As you would expect, the Eastern Front is dramatically more chilly than the Western one, with snow and ice covering the environments, but that’s nothing compared to the dangers of artillery barrages and poison gas. Tannenberg has a range of entirely new equipment for you to master, carried by the Russian Frontovik and Cossack squads and Roumanian Infantry. There are five squads to play as in total, with over 25 weapons, and five open maps, all of it realised with attention paid to every tiny detail. Tannenberg also has a 64-player game mode called Maneuver in which you try to capture strategic sectors in grand battles of movement. If there aren’t enough players – though there should be – the game populates the match with AI bot support so you can experience epic battles at any time. If you want to win one of the ten Steam keys for Tannenberg that we’re giving away then you need to enter the competition via the widget below. Every action you complete is worth one entry into the giveaway, with the more actions you complete increasing your chances of winning.